Do you regularly consider ways to foster a mentally healthy work place? Is there a plan in place within your organization to promote the importance of mental health? If not, you could be creating an unstable environment that paralyzes your productivity. Designing a flexible benefits plan for your employees can certainly affect the mood of your workplace by giving them vested interest in your company’s success. If you want your company to continue growing and evolving, fostering the mental health of your employees is essential. At Health Risk, our third-party consulting services can help you design a comprehensive benefits program that satisfies each and every employee in your organization. 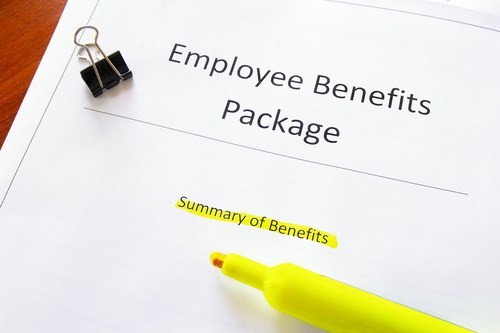 While a benefits package is just a small aspect of your company’s terms of employment, it can have a significant impact on employee attitudes. Fostering a mentally healthy workplace means creating a positive and encouraging work environment. If your aim is to stimulate your employee’s creativity, making them feel supported is an essential first step to getting the best out of them. This is why mental health should be considered across all levels of your company – individual, organizational, financial, and legal. Reaching out to engage with employees will help you learn how they operate best and, ultimately, what they need to be productive on a daily basis. Creating a mentally healthy workplace will improve morale because your employees will see you demonstrating a vested interest in their health and well being. This, in turn, will give them motivation to engage their own minds in ways that benefit your company’s growth. If your company is to succeed, finding the best ways to utilize individual strengths in a collective effort is your mission. Helping your employees work together cohesively is a tall task, but succeeding in this endeavor is a sign of powerful organizational leadership. Getting the most out of your employees, as a team, can be much easier if you’re able to foster meaningful relationships between your employees. When your employees generally appreciate and care for each other, you’re also much less likely to see workplace conflicts or complaints. Having a high rate of employee turnover can be very costly for your organization, but giving your employees plenty of great reasons to stick around can alleviate this issue. A mentally healthy workplace is one in which employees feel they are genuinely contributing to a larger purpose, and thus, your employees are much more likely to stick around to see the purpose fulfilled. Taking time to consider mental health in the workplace will help you avoid the unfortunate costs associated with having one of your best employees walk. At Health Risk, we understand the importance of a mentally healthy workplace, and we want to help you design a comprehensive benefits program that considers the needs of your entire employee base. Give us a call at 1-403-236-9430 to discuss your benefits package today!